Here’s our attempt to bring focus to the various elements of the whole. And sometimes the whole itself. We hope you find it at least half as amusing as we do! In the silhouette, we probably should have included the dog, the five (at least) cats, the fish (3rd batch in the pond), the frogs, the birds, and the occasional school pet that’s visiting; but that seemed like too much. Oh, maybe it is too much. Maybe not. 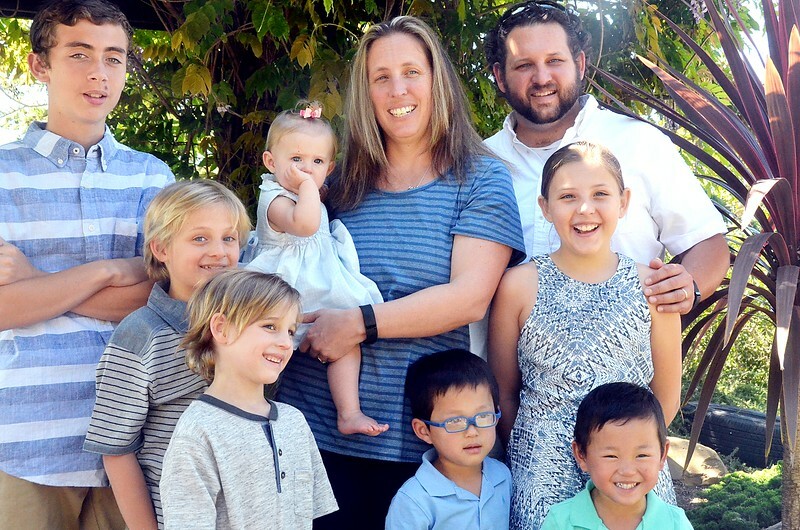 Lynn's Dad moved to a more-care facility in early 2015 and passed away in April 2016, so our four generations under this one roof reduced to three: Nana and Papa, Mom and Dad (who are daughter and Son-in-Law), and the now seven (grand)kids. In time, you’ll learn all about ‘em.